Container Size Any0.5 oz.1 Gal.1 oz.1 Qt.10 OZ10 oz.12 oz.16 oz.22 oz.32 oz.4.5 oz.5 Gallon8 oz. RUST REFORMER Fuses to rusty metal Chemically converts surface into- a paintable finish No more sanding to reach bare metal Use with most solvent or oil-based paints Not to be used with latex paints 8 ounce size comes with applicator pad 7830 8OZ RUST REFORMER SIZE:8 Oz. 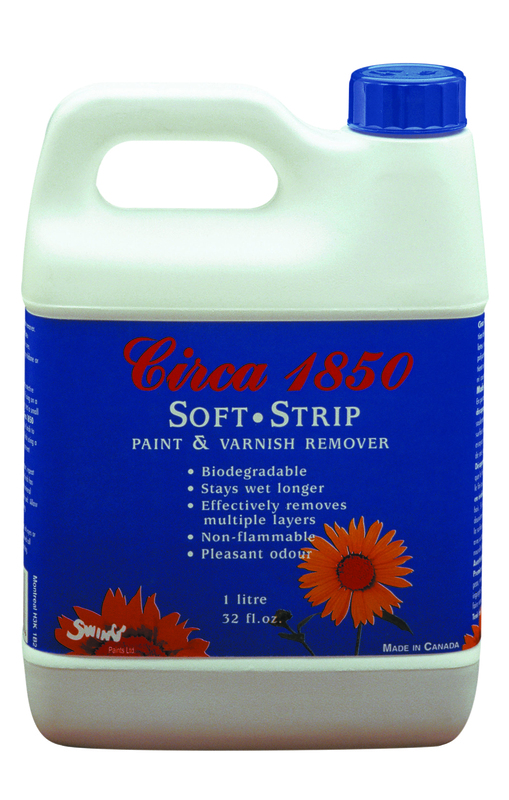 Circa 1850 Soft Strip Environmental Paint & Varnish Remover is made without methylene chloride. 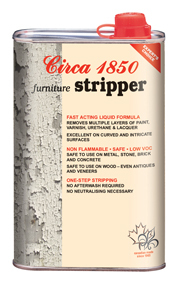 Remove paint, varnish, shellac, lacquer and polyurethane from furniture, woodwork and metal. Removes multiple layers at one time with ease. 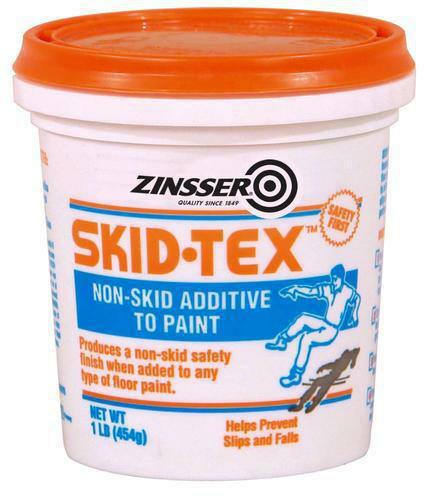 SKID-TEX ADDITIVE Formulated for easy mixing and application Use in all types of floor paints Durable, safe, non-skid coating Perfect for marine use 22242 1# SKID-TEX ADDITIVE SIZE:1 Lb. 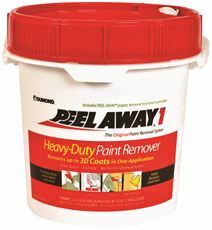 PREMIUM PAINT & EPOXY REMOVER An extremely strong stripper that effectively- removes paint, varnish, lacquer, shellac,- epoxy, urethane, latex or any synthetic compound Can be used on wood, metal, concrete & masonry Strips multiple layers in one application Brushable semi-paste Water rinsable - non-flammable GJBP00203 1G HD EPOXY REMOVER SIZE:1 Gal. 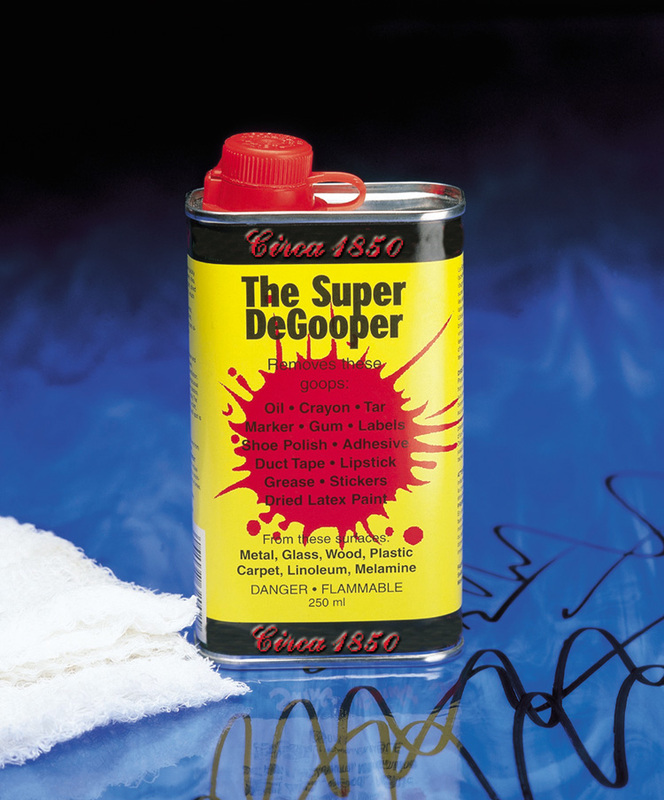 DAD'S EASY SPRAY PAINT & VARNISH REMOVER Guaranteed to strip, faster, easier & cleaner Product jells when sprayed Clings to vertical surfaces Will not run like other removers Economical - goes 2X as far as brush on removers Non-flammable, water wash-off & very low odor Versatile - strips all finishes No patina damage to antiques 33831 1G SP PNT & VARN REMOVER SIZE:1 Gal. 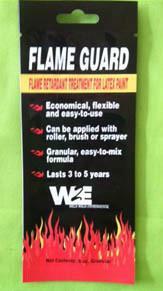 FLAME GUARD PAINT ADDITIVE A granular paint additive designed to give - paint a Class "B" fire retardant rating Double the dose for Class "A" Can only be used with flat latex coating Paint is fully tint-able with Flame Guard Use on interior surfaces to slow the - spread of the flame Lasts 3 to 5 years 35263 FLAME GRD PAINT ADDITIVE SIZE:6 Oz. Pouch DESC:Treats 1 Gal. 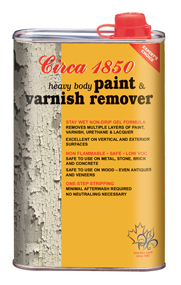 Circa 1850 Heavy Body Paint & Varnish Remover removes old paint, varnish, shellac, lacquer and urethane, even multiple coats. Its gel formula makes it ideal for exterior use and vertical surfaces. Safe to use on fine furniture. 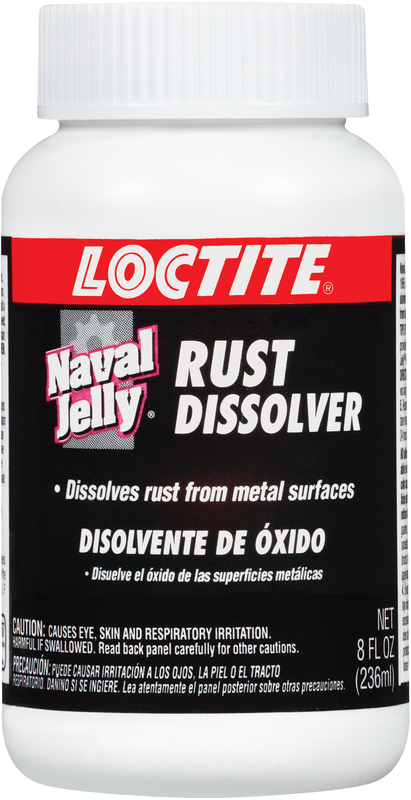 LOCTITE(R) NAVAL JELLY RUST DISSOLVER The original formula used for years Removes rust from metal surfaces such as - iron or steel Can be sprayed or brush applied Water soluble - easy clean-up with water Works in 5 to 10 minutes Not for aluminum, chrome, fiberglass or plastic 80276 8 OZ NAVAL JELLY SIZE:8 Oz. 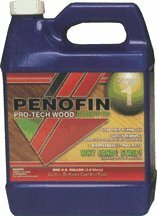 PRO-TECH WOOD STRIPPER Removes stubborn oil-based or latex paints- stains and sealers easily and quickly Strips all deck finishes/removes 100% acrylics Safe for cedar-redwood-composite-decks- siding and masonry Non-flammable-certified no VOCs FTECHGA 1G WOOD STRIPPER SIZE:1 Gal. WP CHOMP WALLPAPER STRIPPER CONCENTRATE Super concentrate fast acting stripper Pleasant scent - safe and easy to use Pleasant scent Fast penetrating "World's Best Wallpaper Stripper" 5301222 22Oz WP CHOMP CONCEN SIZE:22 Oz. MAKES:1.9 Gal. WP CHOMP WALLPAPER STRIPPER Strips wallpaper adhesive & leaves walls clean Ready to use trigger spray Fast penetrating Easy to apply Safe to use 5300QC 32Oz WP CHOMP STRIPPER SIZE:32 Oz. MOTSENBOCKER'S LIFT OFF � LATEX PAINT REMOVER, 22 OZ. 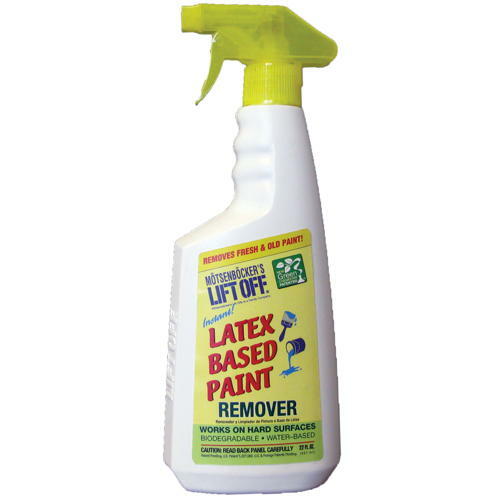 MOTSENBOCKER'S LIFT OFF � LATEX PAINT REMOVER, 22 OZ. 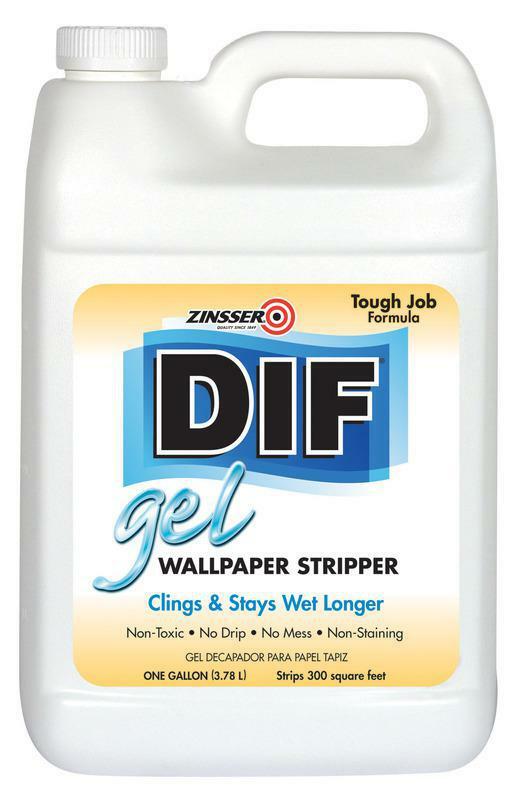 DIF WALLPAPER STRIPPER GEL Ready to use Non-drip takes mess out of removing wallpaper Fast acting, easy to apply Roll or brush on and stays in place Remains wet for hours Safe to use, non-toxic, odorless Crystal blue 02431 1G DIF GEL STRIPPER SIZE:1 Gal. CITRISTRIP PAINT REMOVER Citristrip aerosol paint & varnish remover Fresh orange scent from natural extracts Clings to vertical surfaces Easy foam application No methylene chloride Stays wet and active up to 24-hours ECG73807 SP CITRISTRIP REMOVER SIZE:11 Oz. 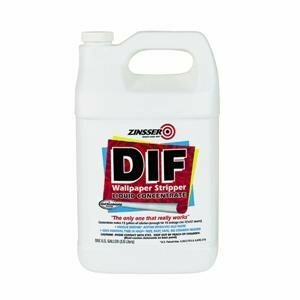 DIF WALLPAPER STRIPPER Liquid concentrate Unique patented enzyme formula Economical, just mix with warm water Easy to apply by paint roller or sprayer 22 oz. 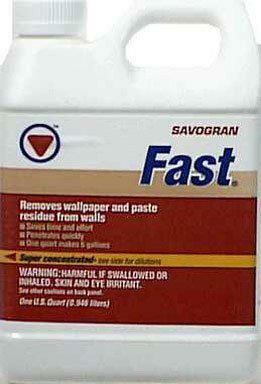 bottle makes enough for 12x14 ft. room Fast, easy & safe No steamer needed 02401 1G DIF WALLPAPER STRIPPR SIZE:1 Gal. ADHESIVE CLEANER & WAX REMOVER Specially blended solvent Provides easy clean-up of most adhesives Quickly removes wax, tar, grease & oil Will not harm most auto paint, vinyl or fabrics 8984 QT CLNR & WAX REMOVER ADH SIZE:1 Qt. SAOVGRAN 1 GAL. 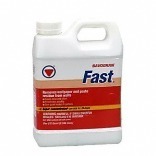 FAST WALLPAPER REMOVER A concentrated remover that softens wallpaper - paste to aid in the removal of old wallpaper Dilute with water and apply with sponge, - roller or spray to soak old wall covering Washable or painted wall coverings must be - perforated well for Fast remover to penetrate Use as an afterwash to remove traces of - paste from walls prior to recovering 10773 1G FAST WALPAPER REMOVER SIZE:1 Gal.